"I'm sorry to see the junk they scatter all over the place, but they see some value in it which escapes me; a means of making a living. When Dr. Johnson had the job of auctioning off the brewery of his friend Piozzi, he said, 'We are not here to sell a parcel of boilers and vats, but the potentiality of growing rich beyond the dreams of avarice.' 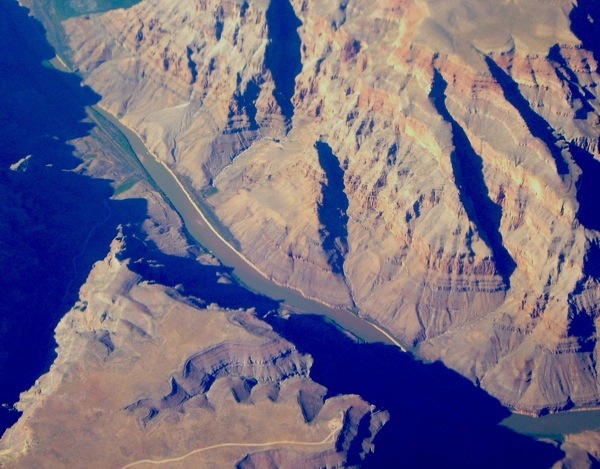 "
The Colorado River's confluence with a side rivulet in the Grand Canyon. 3, Pueblo Dwellings and our own. 5, A Mobile Home on the Range. 7, In Favor of Trees. 8, The Past and Future Park. 11, A Sense of Place/Time. 14, Roads Belong in the Landscape. Geologically speaking the landscape is layered, hence the human occupation is layered with erasures of what has and could have been. "Familiarity makes you feel everywhere at home. A sense of time makes you gradually increase your speed." He says the book represents "ongoing efforts to understand and define contemporary (1990s) American man-made landscape." The role of architecture in defining places and the replacement of architectural dominance in delineating these common spaces we have been creating, demolishing and then recreating over again since the 19th century is on the wane. "The role of architecture and man-made forms in creating a new civilized landscape." " . . . 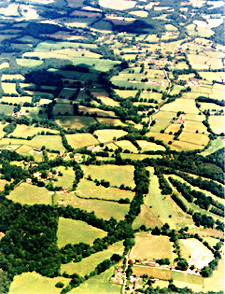 I have come back convinced beyond a doubt that much of our contemporary American landscape can no longer be seen as a composition of well-defined individual spaces – farms, counties, states, territories, and ecological regions – but as zones of influence and control of roads, streets, highways: arteries which dominate and nourish and hold landscape together and provide it with instant accessibility." ". . . architecture no longer provides the important symbols. Architecture in its oldest formal sense has ceased, at least in our newest landscapes, to symbolize hierarchy and permanence, and sacredness and collective identity; and so far the road or highway has not taken over those roles." Coming to terms with technology as an instrument to change both the landscape and our perspective of terrains. 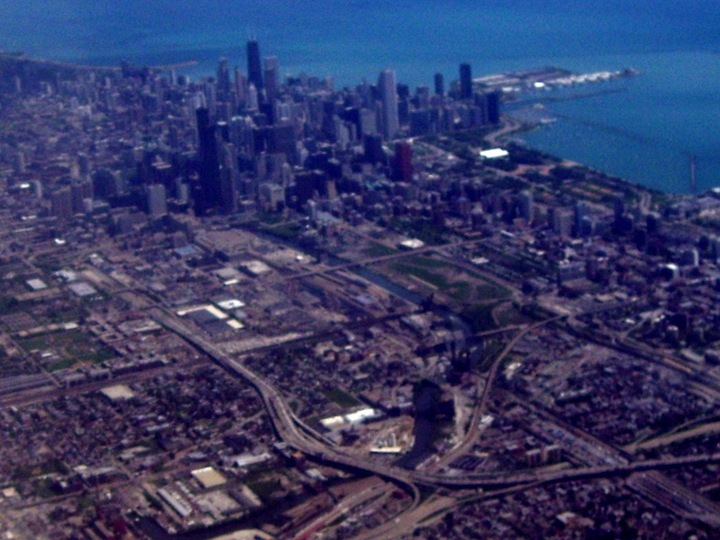 Chicago, astride Lake Michigan, reversed the flow of the river that drains its watershed. He begins with the idea that access is more important today than symbolism in demarcating individual spaces. 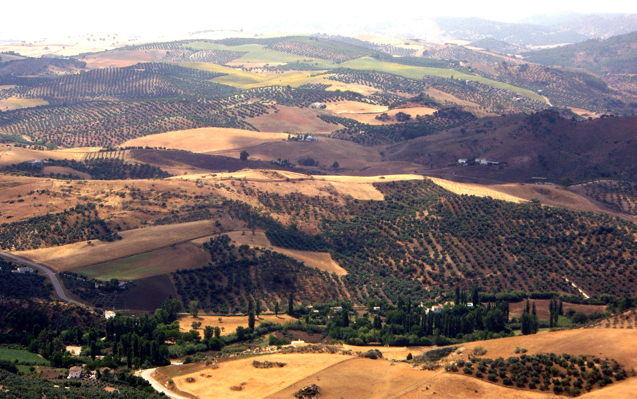 He discusses how aerial photography and the experience of landscapes from the air is an altogether new mass experience. His approach is to describe well defined natural and cultural areas to make observations concrete in that they arise from the features of a peculiar geographical setting, context of human endeavor, or identifiable space. 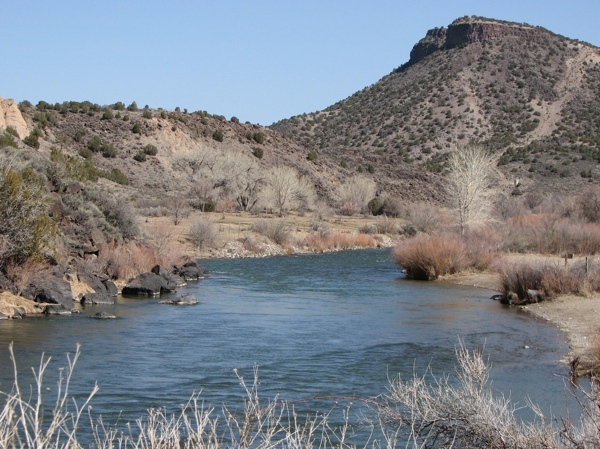 Oldest inhabited area of North America above the Rio Grande is the Anasazi culture area of the Great Basin and Sonoran deserts. Sacred areas contrasted with vernacular, or indigenous places. Then, moving from the specific cases to the general level of abstraction, he looks at the element and natural features that spaces withing larger environments have in common. He finally examines the features and stylistic elements of modern commercial and mechanized civilization in contrast to the elements we inherited, such as towns and villages, from the agrarian heritage of our respective ancestral cultures. "One of the least investigated aspects of our European-American culture is our ambivalent attitude toward the road and the street." " . . . yet underlying all those variations, there seems to be a basic human response: the road is a very powerful space; and unless it is handled very carefully and constantly watched, it can undermine and destroy the existing order." Place defined as the American Southwest because it is a combination of features including: an enduring history ["place is something we ourselves create in the course of time" p.151. ], a high country geography, with an arid climate, characterized by desert biomes where the growing season is short and based on snow melting or low summer rainfall patterns. 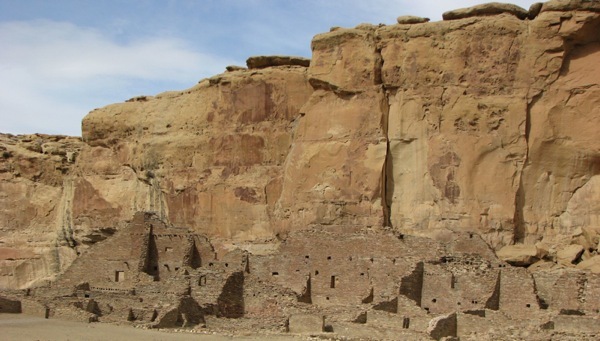 This region is where an historically prolonged drought in the 12th and 13th centuries may have ended the Anasazi cultural hegemony over the region. 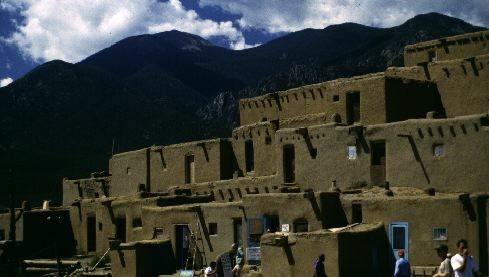 Yet the native peoples of the southwest today – often called pueblo peoples after their Spanish nomenclature – trace their ancestry to these early farmers, builders, and basket-makers. Thus, these areas of the southwest region hold remnants of the largest and oldest extant structures and ruins north of the older and larger cultural hearths of Mexico and the Andes. Objects such as plazas, churches, towns, cars & roads, which are actually examples of the oikumene, with a special emphasis on access, vehicles, byways and the means by which technology redefined our sense of place. He is a landscape historian, and geographer by training. The Middle ages and Renaissance to now, but JBJ argues that time really dictates how we understand the importance of places. His focus is the Indo-European world as it impacts the indigenous creations of the Native American farmers in the Anasazi culture area and desert biome of New Mexico, Arizona, Colorado, and Utah. He uses a dialectical approach to convey the meaning of useful, sacred, accidental, and abusive intrusions into the landscape that must be understood as forming the substrate of our intellect and emotions. Dialectical approach means a method by which we use opposition to determine the veracity of statements made. Verity arises from a sort of confrontation between opposites: such as the Far East and the Far West; if ideas about landscape changes exist in both very different culture areas as China and the American frontier, then there may be some elements in common we need to remember when arguing about how humans use or revere places. "Out of the ruin a new symbol emerges, and a landscape finds form, and comes alive." "we were the first generation... accustomed to seeing the earth from the air"
"the human use and abuse of the earth and its resources"
"that since the beginning of history humanity has modified and scarred the environment to convey some message." "differentiate among those wounds inflicted by greed and destructive fury, those which serve to keep us alive, and those which are inspired by a love of order and beauty, in obedience to some divine law." Signs of our sense of responsibility for the survival of the earth and its people." "all serve as symbols; symbols of what we have done that is wrong or of what is appropriate and right." 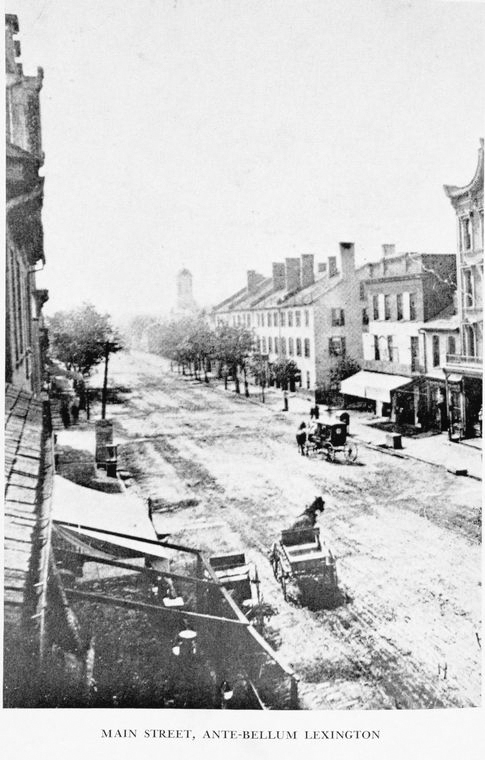 "Much of our contemporary American landscape can no longer be seen as a composition of well defined individual spaces --farms, counties, states territories and ecological regions -- but a zones of influence and control of roads, streets, highways: arteries which dominate and nourish and hold a landscape together and provide it with instant accessibility." "rediscover the role of architecture and man-made forms in creating a new civilized landscape. . . . [is] essentially a question of rediscovering symbols and believing in them once again." 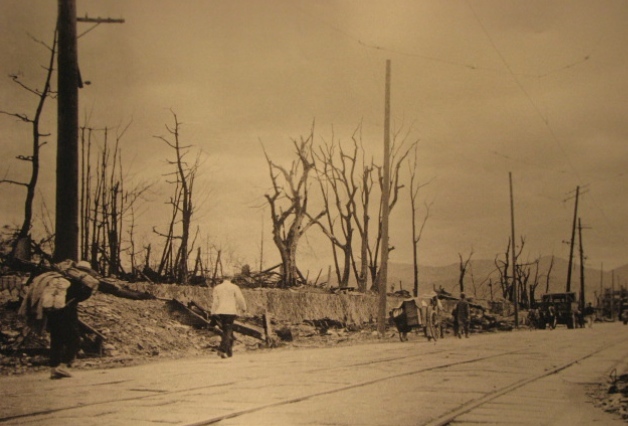 Hiroshima after the atomic bombing, 1945. "Out of a ruin a new symbol emerges, and a landscape finds form and comes alive." Coming to terms with technology as an instrument to alter our perspectives on landscape. 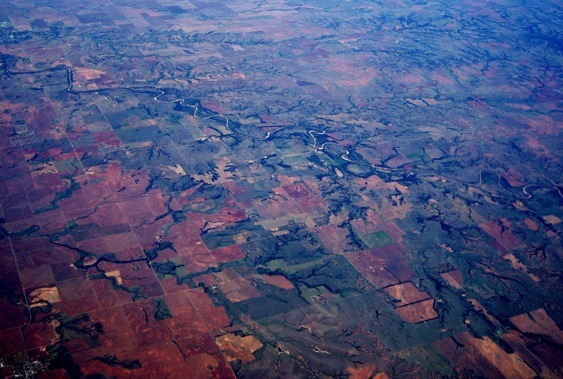 "I found myself looking down on some part of the landscape of the Midwest or the Great Plains . . . . 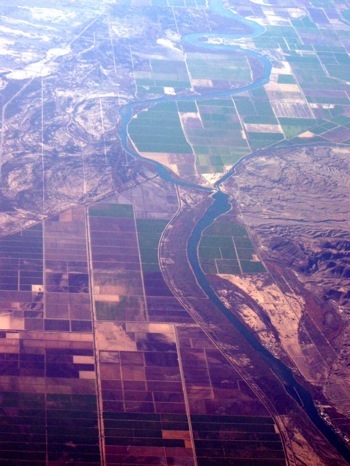 It was only when I looked at the multicolored pattern of rectangular fields and checkerboard towns, repeating itself over and over again from one horizon to the other, that I discovered the typical American landscape." A typical land-pattern of checkerboard squares from the United States topographical survey of townships and range lines dictated by the Land Ordinance of 1787. "I remembered somthing I had learned in school about the National Land Survey of 1787, and how Jefferson and others had devised a plan whereby all the vacant unclaimed land in the young republic could be divided into almos infinite number of squares, each of them a square mile, or 640 acres–"
". 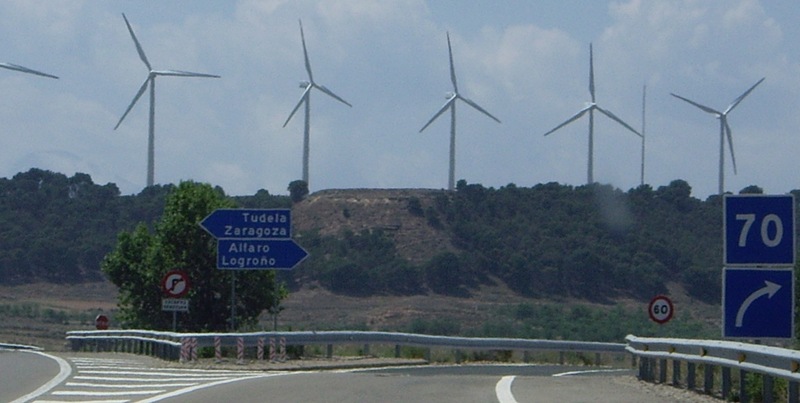 . . in fact the grid made no adjustment to rivers or hills or marshlands." "The question," that Jackson poses "which insists on an answer is, What kind of small or local community can we hope to have? What we can be sure of is that it will not be based on territoriality." "a kind of sodality based on shared uses of the street or road, and on shared routines." "It is not easy in this landscape to separate the role of man from the role of nature." 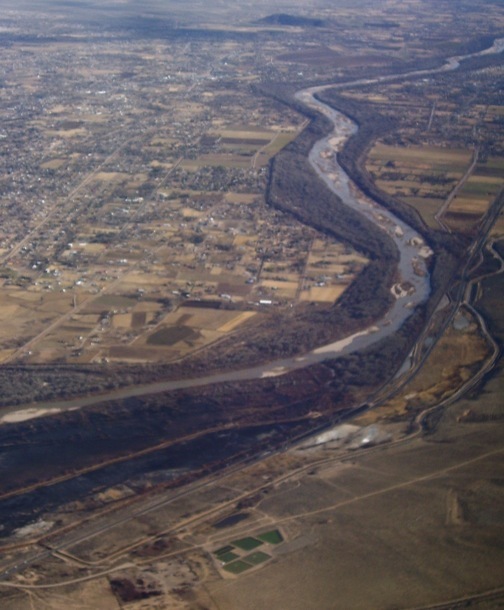 Rio Grande River valley south of Albuquerque. It simply tells us that there is another way of measuring time and that the present is, in fact, an enormous interval in which even the newest of man-made structures are contemporary with the primeval." 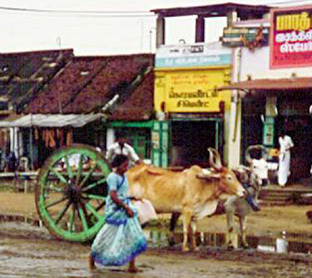 "Each village devised its own communal irrigation system." 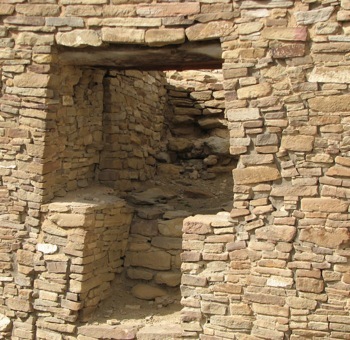 The Hopi villages of Arizona survive on less than eleven inches [of rainfall]. Bandolier (left) and Chaco (right) doorway in their respective National Monuments; protected under the Antiquities Act of 1906. 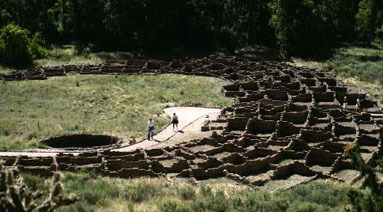 Site of Anasazi peoples referred to as "Pueblos" by the Spanish chroniclers because they lived in towns or puebla. "For all its common environmental characteristics, the area has enormous diversity." Puddled or puddling method of Adobe construction of the pre-Columbian Native American means of building is contrasted with the Spanish method of clay based construction. "The church was a particularly fearsome example of adobe brick architecture, not only because of its monstrous size and permanence, but also because people were compelled to enter its labyrinthine rooms at regular intervals and for a prescribed length of time." "For the Pueblo Indian, the really essential lived-in spaces are those found in the village: the plaza, and alleys and garden. Acoma pueblo, or the "sky city" as it was called by the Spanish is the site of the Church photographed here which is the largest adobe construction in North America. 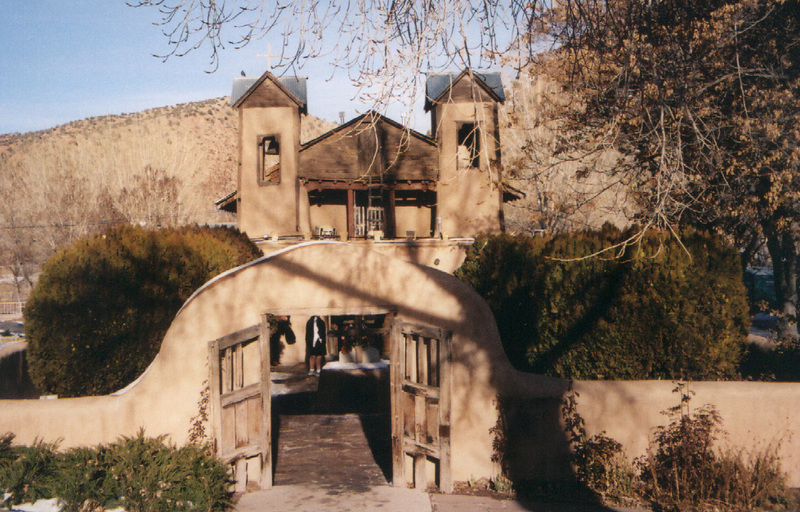 One of the curious blending of indigenous beliefs and the masque of Roman Catholicism in the southwest, not mentioned by the author is the tradition of healing earth as experienced by pilgrims to Chimayo, N. M.
Tsimayo in Native Indian, or Chimayo in English,is the name of the place that was a Tewa cultural site of great medicinal significance. It is one of the few sites today of pilgrimage in North America, for Roman Catholics. Chimayo lies on the high road to Taos, north from Santa Fe near the flow of Truchas Creek. "– the traditional dances, endlessly repetitive and without climax, whether in time or in space of the plaza, were again performed in the open." "All elements of celebration are present: all the symbols of order and reverence and undying love of this particular time, this particular place. 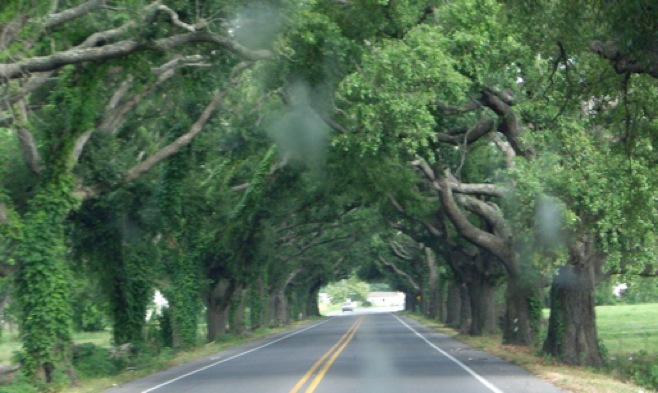 More American families may live in mobile homes than any other type of dwelling, for instance drive State Road 17 to Lake Wales and count the number of trailer homes you see. "They had degenerated into rural slums of a very abject kind. Fields had reverted to second growth, houses were in decay, roads and irrigation ditches choked with rubbish and abandoned cars." 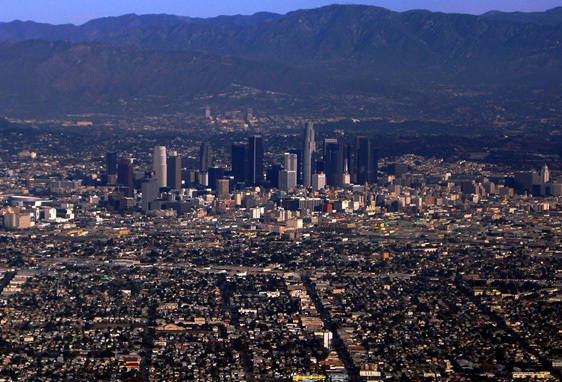 "You can find a squalor as hopeless as anywhere else in the United States." "Now, two generations later, America has more trailers than ever before." "To begin with the trailer is an industrial product, mass-produced, low-cost, and disposable." "I shill think it is the most practical low cost dwelling we have, and that it is well adapted to a way of life that is becoming increasingly common in both rural and urban America." The vernacular dwelling and the vernacular space it encompasses making it part and parcel of its surroundings. A woman walking, village men and women in their Masai village on the Maasai Mara plain, Kenya, now a National preserve. A portrait of New York City in the 1830s with 200,000 residents still tied by rivers to the hinterlands and countryside. An area outside ( in Latin fores ) the realm of customary law. "I continue to plant them when and where I can." "What geographers call the Atlantic landscape stretches across northwestern Europe,...And in the course of the last three centuries it has been transplanted to Canada ...And the United States. It can be thought of as a gradual creation of those Indo-European migrants who came out of Asia some seven thousand years ago with their livestock ...And who eventually occupied all of Europe." In Germany a set number of Walnut trees were required prior to ones ability to marry, John Evelyn in Silva, in the 17th Century, suggested iron making was leading to deforestation. 8, The Past . . . And Future Park? 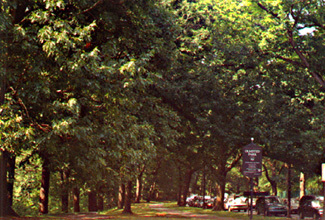 A of a portion of Frederick Law Olmsted Sr.'s "Green Necklace" for Boston photographed in Jamaica Plain. 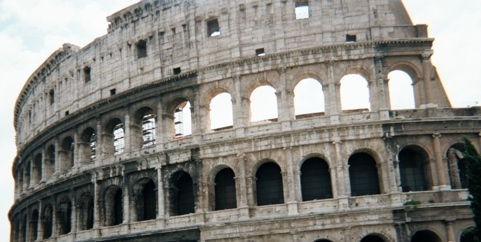 This photograph (2002, J.V. Siry) is but a portion of this much larger urban park and related parkway designed to distinguish where Boston and Brookline Massachusetts share a common boundary. The Past . . . And Future Park? "In every city, in every town, even in every village in America,...I expect to find ...And outdoor recreation area, or what is usually called a park." "In terms of greenery ...And design, no such space existed in ancient Greece or in Rome, ...And it first appeared in European towns not Much earlier than three centuries ago." "... for such a vague purpose as recreation." "We enjoy gardening as a kind of therapy." "our own domestic plants have a different relation to their environment." Our gardening is derived from the Russian ...And northern European traditions. "The word garden, like the Latin hortus, derives from an Indo-Germanic root meaning fence or enclosure." "Gardens teach us more than we are aware of." There caretakers learned "a new sense of time." " a mental ...And spiritual condition" of being "at home." in a place. Colonial relationship between home ...And cottage industry kept alive in New England villages despite mechanization. Class ...And prestige led to a separation of work from home among the wealthy classes ...And was later imposed on mono crop agricultural labor and factory labor as village life was eclipsed by company towns and plantations. "They believe that a sense of place comes from being in an unusual composition of spaces and forms – natural or man-made." "A flexible and frequently shifting pattern of streets and spaces, adjusted to new real estate values and an increased traffic flow, becomes general: residential quarters, instead of grouping around the business section, tend to move out to where the immediate future is more predictable." " 'Sense of place' is a much used expression, chiefly by architects but taken over by urban planners and interior decorators and the promoters of condominiums, so that it now means very little." a sense of fellowship based on a shared experience. The car and truck may be seen as essential, symbolic, automatically operational and a love object for many modern people. 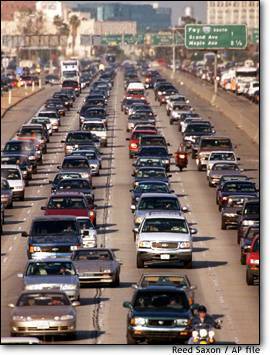 "From the beginning, Americans were fascinated by the automobile, though few families could afford to buy one; . . . "
"The rich and sporting element in American society adopted the automobile because of the mobile and adventurous way of life it fostered." "Yet the greatest appeal lay in the kind of lifestyle it promised: the dawning century was to see a new culture: emancipated, healthy, infinitely mobile and promising hitherto unknown pleasures and experiences – all because of the automobile." "The truck, finally, is identified with noise and pollution." "A vernacular, blue-collar version of the truck oriented landscape of the urban fringe has moved into the city and is destroying the traditional urban culture. when we venture beyond the traditional center of town into less prosperous neighborhoods, we see that the transit shed in several versions is by way of becoming the standard commercial building and even the standard institutional building. It is a form suited to enterprises operating with small inventories – chain stores, gas stations, discount houses, art galleries, even museums and libraries." Which came first the house or the road leading to the house? 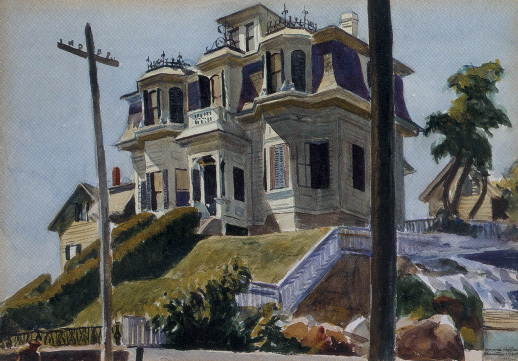 Edward Hopper, Haskell's House, oil on canvas, 1924.